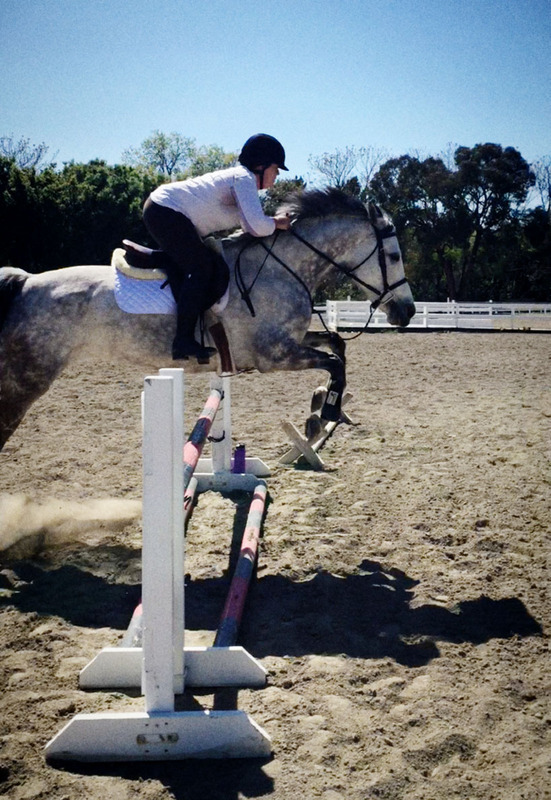 I had been looking forward to my lesson with Ali all week- jump all the things! Unfortunately I showed up with a few monkeys on my back from the day and had trouble shaking them off to really focus on the ride. Ali had set a 3' vertical into the course but I turned out as we rode up to it. It's just too high. And of course I felt a little let down so I need to remind myself that it wasn't too long ago that a crossrail felt like a win. Once she dropped it three inches though....! Yep I definitely know that feeling. Great picture tho! Girl your confidence is growing in leaps and bounds! Soon 3' will be no big deal! Yep. Been there. Only I was slightly more ridiculous with a request to lower a jump by 1 inch. Confidence is weird.